There’s no doubt about it: The world of maintenance and asset management is undergoing a huge and constant digital transformation. With the adoption of technology becoming more ubiquitous than ever, there are a number of trends driving digital transformation in the maintenance world. 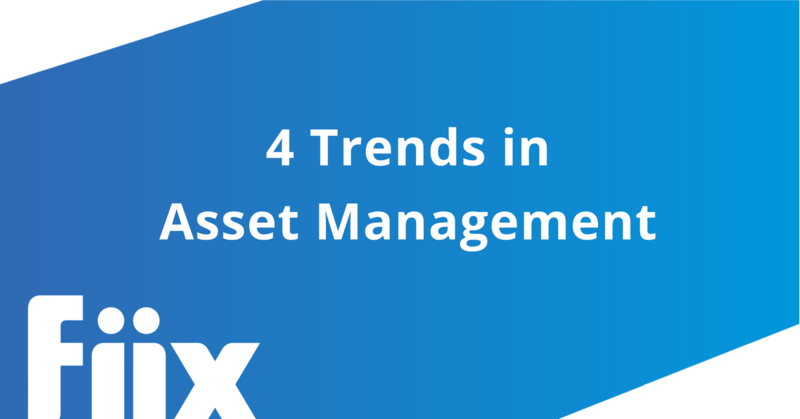 Let’s take a look at the top trends enabling teams to revamp the way they approach asset management. IoT, or the Internet of Things, quite literally refers to connecting things (machinery, sensors) to the internet. Sensors are more affordable, and internet connectivity is faster and more reliable than ever. That means that IoT has never been more accessible. In fact, according to Manufacturing Automation, the number of connected devices will top 50 billion worldwide by 2020. In an asset management context, this means that issues and potential problems are now much easier to identify in a facility where IoT is involved. With the proliferation of the Internet of Things comes a requirement for better analytics. Enter Big Data. The advanced analytics that are possible with Big Data allow facilities to gain meaningful takeaways from the information that’s constantly being collected from machinery. The major benefit is that, with the right tools to mine their data sets, maintenance teams can easily detect issues or deterioration before it becomes a real problem. Considering how many people feel helpless without their smartphones in their day-to-day life, it’s no surprise that the world of asset management has jumped on board with mobile technology. With a mobile app, technicians and maintenance managers alike can bring their maintenance software with them in the palm of their hand, wherever their work takes them. New app features like offline mode even allow technicians to record their work without an internet connection. The benefits of mobile maintenance are obvious—using it, teams can reduce downtime, maintain greater control over assets and projects, and track work in real-time. Using AI to monitor assets and learn about them means it’s much easier to predict how much time an asset has before its performance is affected or before that asset fails. This can help maintenance teams perform preventive maintenance more effectively, addressing potential issues before they become bigger problems. These technologies have already transformed the maintenance and asset management industry. It will be interesting to see what’s possible in the next few years, and how maintenance management technology will grow and improve as a result.